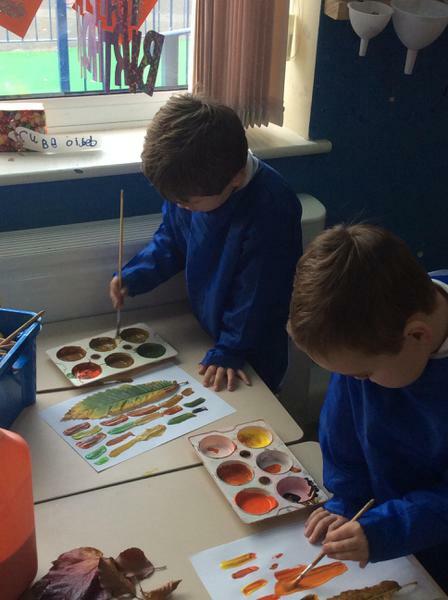 We took great care as we studied the colours in the different Autumn leaves. 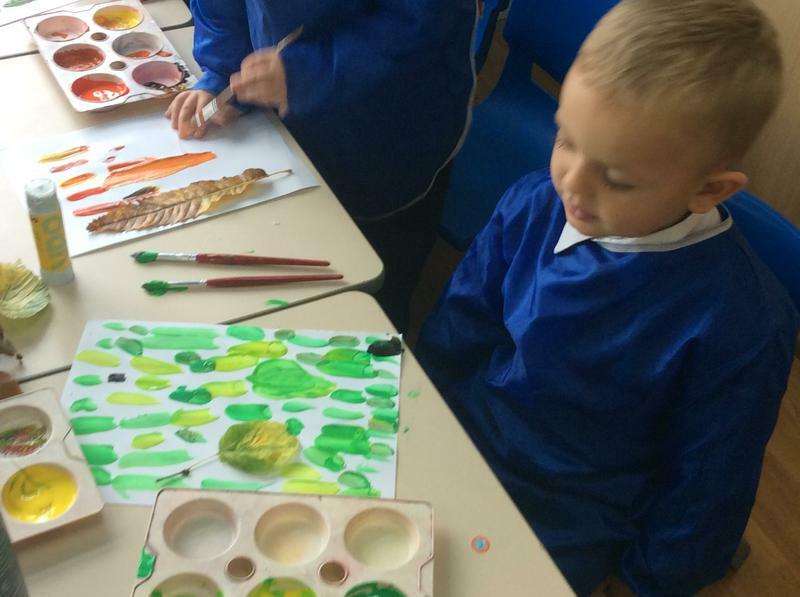 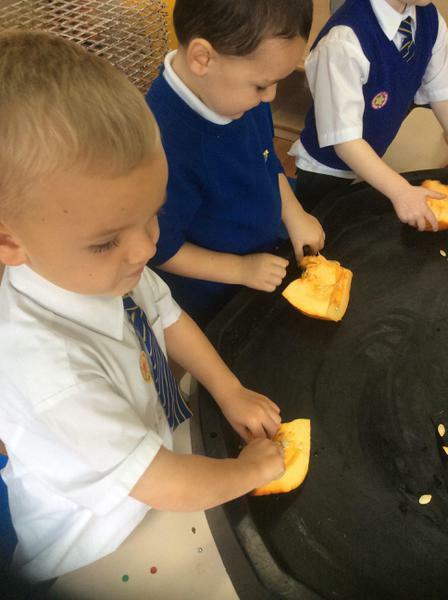 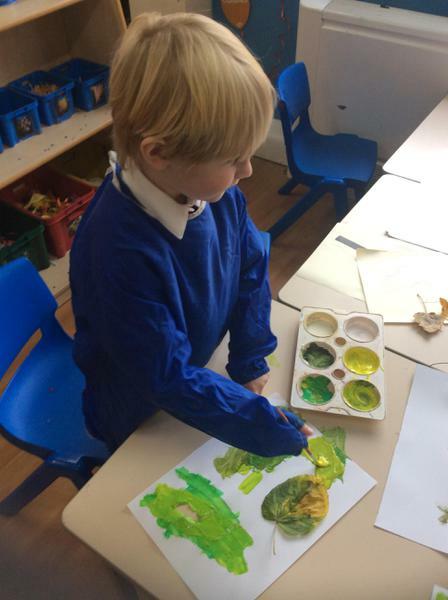 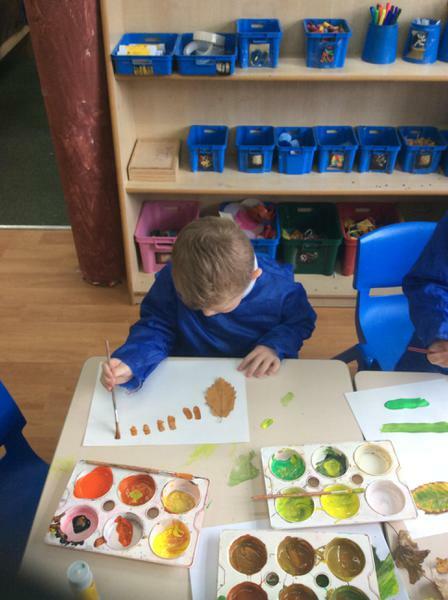 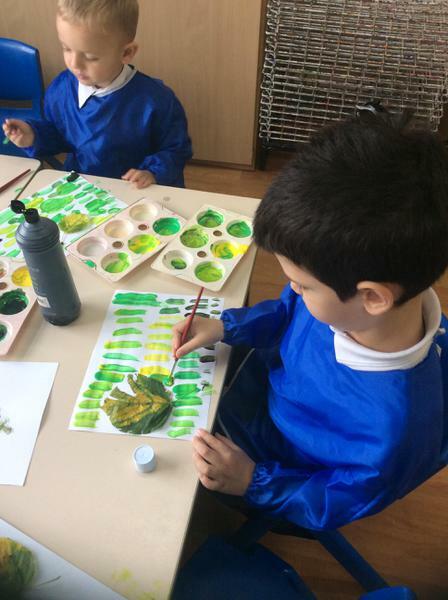 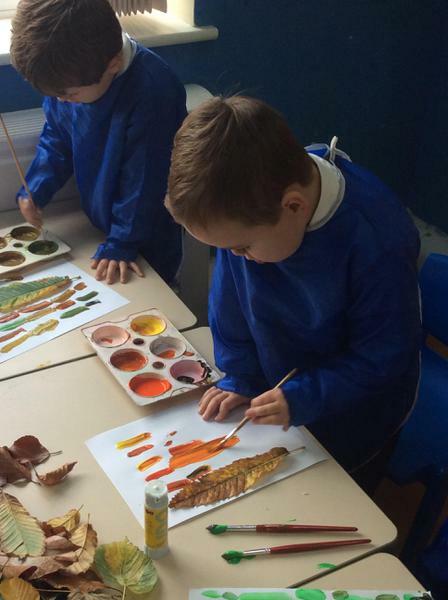 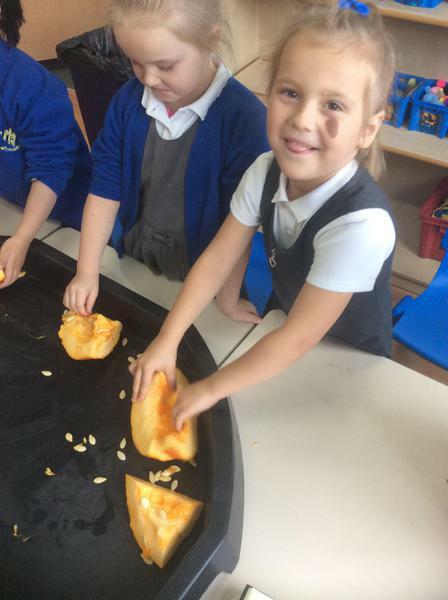 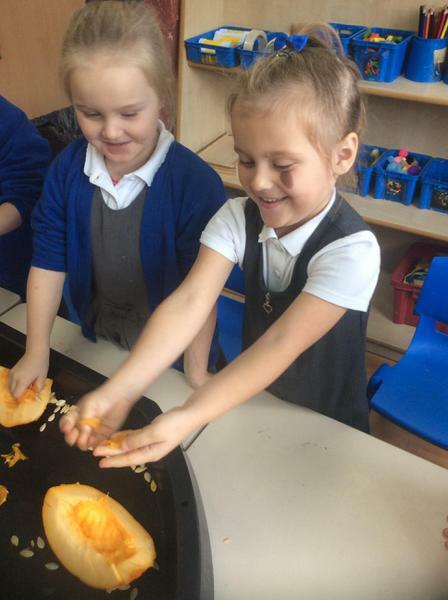 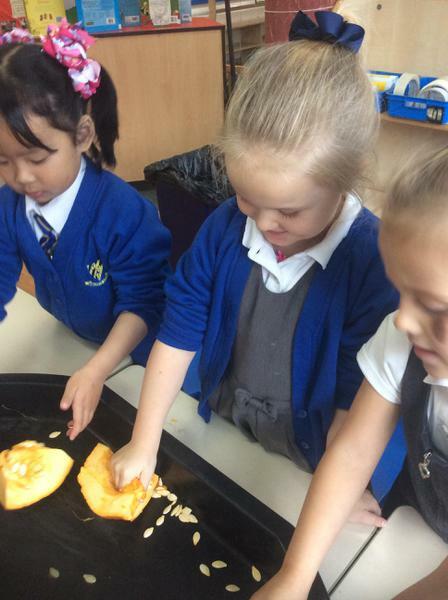 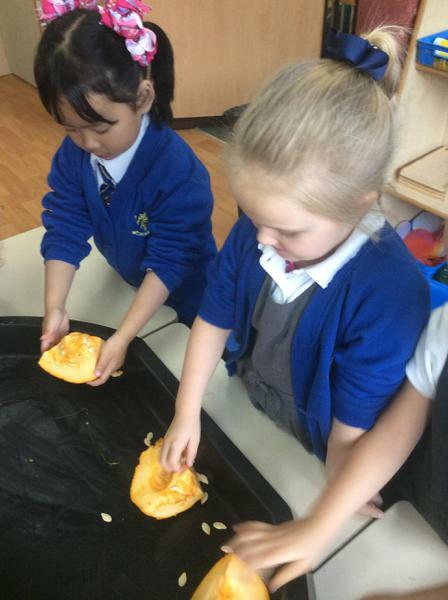 We talked about the changes of the seasons and experimented with colour mixing to recreate the colours in our leaves. 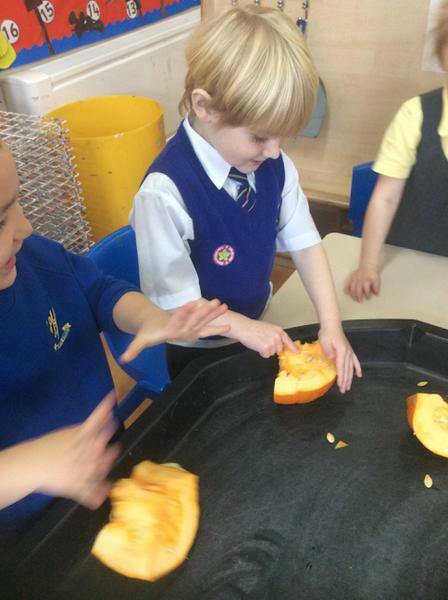 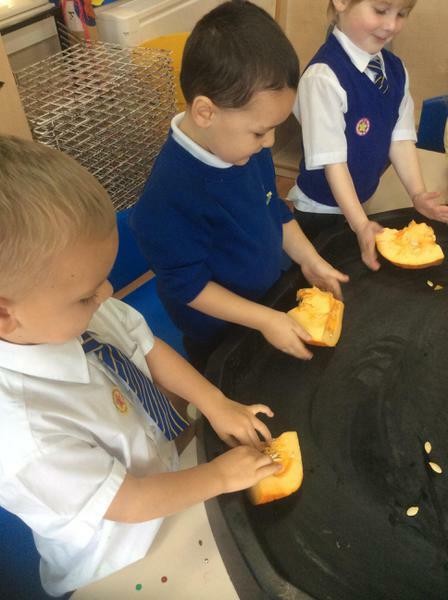 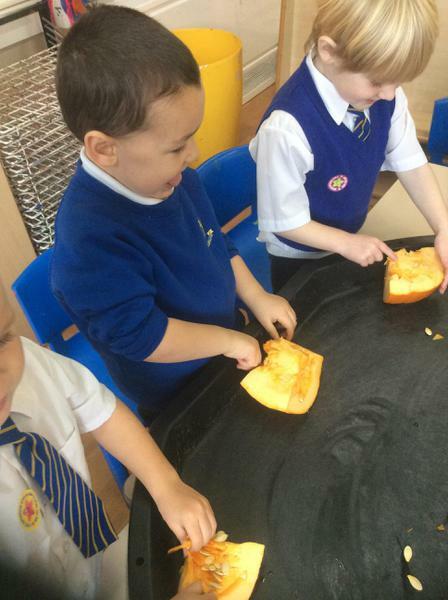 For Halloween we explored pumpkins. 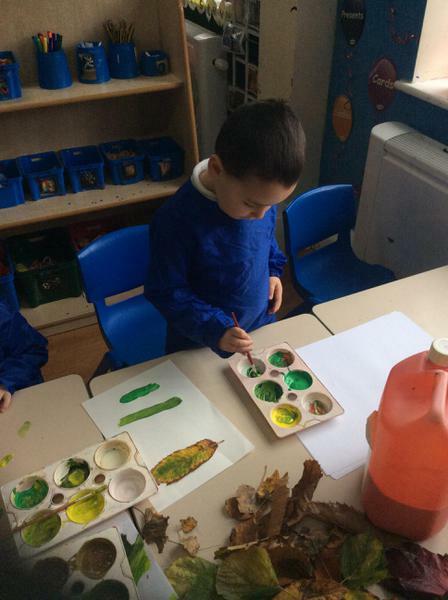 We talked about what they looked, smelt and felt like. 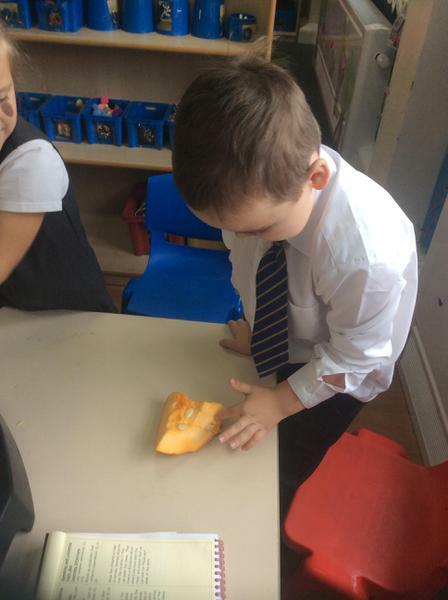 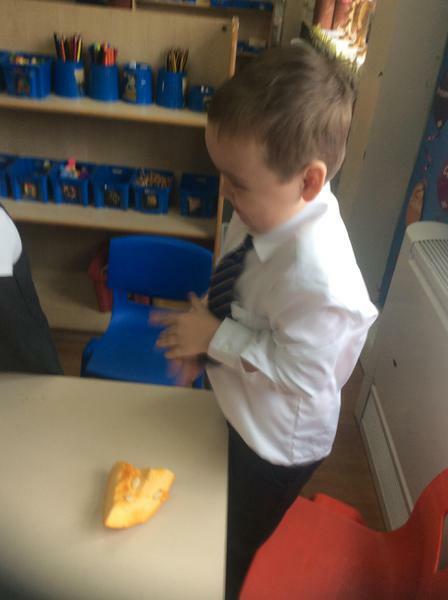 Some of us were more keen to touch it than others!